Quicker and easier procedures for meetings up to 30 people at Hilton Molino Stucky Venice. Often organizing a small meeting requires the same amount of procedures as for bigger events. 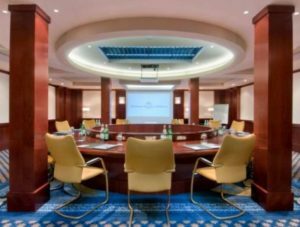 From now on, arranging a meeting up to 30 people has become so easy thanks to Hilton Molino Stucky Venice’s Meetings Simplified plan. Despite Hilton Molino Stucky being the largest hotel with a convention centre in the Venice Lagoon, its initiative aims to reiterate the hotel’s flexibility and capability to offer high-standard services to every client, even for small events. Click to watch a video presentation of Meetings Simplified. 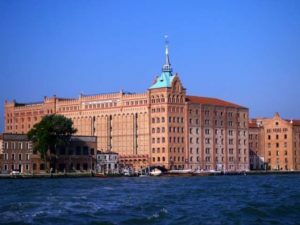 Hilton Molino Stucky Venice, with its 379 rooms and suites, is the largest hotel with a convention centre in the Venice Lagoon. It has 14 meeting rooms and a ballroom that can accommodate up to 1,000 people. Its 8 bars and restaurants, the second largest SPA in the city, and its rooftop pool, which offers one of the best views in Venice, make the hotel the perfect venue to meet all kinds of needs.